I very briefly considered looking at my sewing output from the last year, but as it consists of the Cranford dress, a yoked circle skirt, a pair of pants, and two knit tops, it was too depressing to contemplate. As my true work is in writing, I thought that instead of depressing you with more self-criticism of my fitting skills, I would put together a Best Of 2014 by-the-month compilation instead. 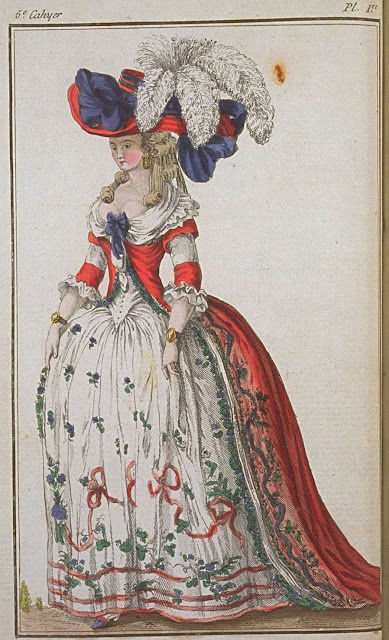 Cabinet des Modes, 5e Cahier, 1ere Planche (January 15, 1786): Nakara satin robe à la turque with white satin corset and petticoat. 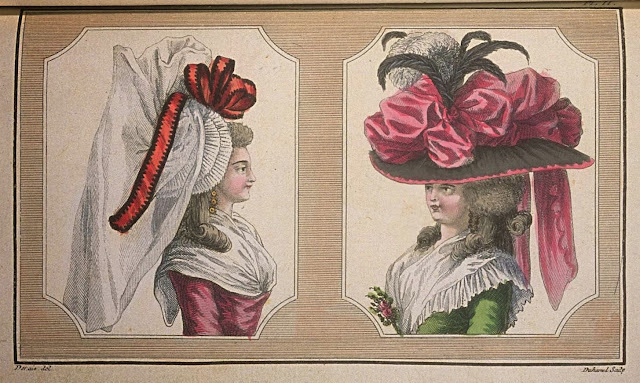 Cabinet des Modes, 10e Cahier, 2e Planche (April 1, 1786): A woman in a white gauze baigneuse and veil with nakara ribbon, and a woman in a hat à la Maltoise. 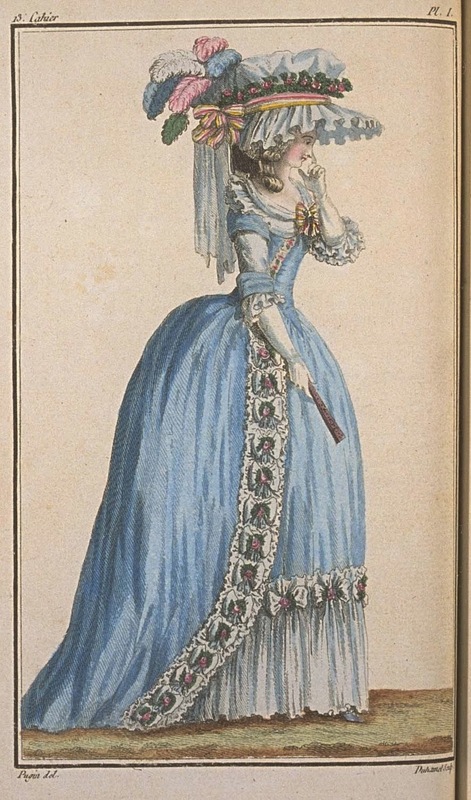 Cabinet des Modes, 13e Cahier, 1ere Planche: (May 15, 1786): Woman in a blue pékin turque, trimmed with white crêpe and artificial roses, and in a chapeau-bonnette. 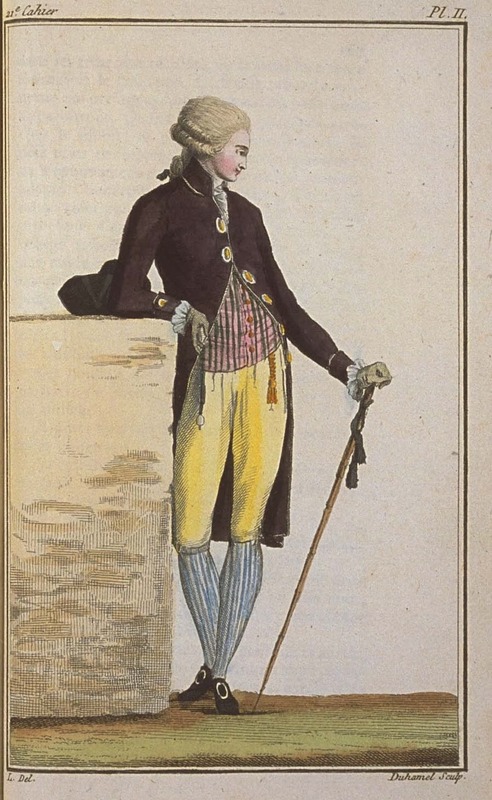 Cabinet des Modes, 21e Cahier, 2e Figure (September 15, 1786): Man in a puce wool coat, striped moire gilet, canary cashmere breeches, and striped silk stockings. Mary DeLong West's Wedding Dress, 1896: Bodice and skirt of off-white silk satin, trimmed on the torso with silk gauze; pattern available here. Emile Pingat (1820-1901) - an exploration of a great artist's career. 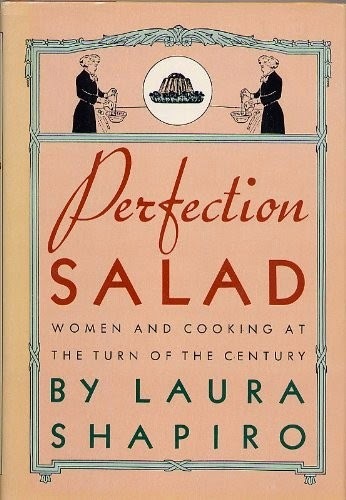 Perfection Salad: Review/discussion of Perfection Salad by Laura Shapiro. 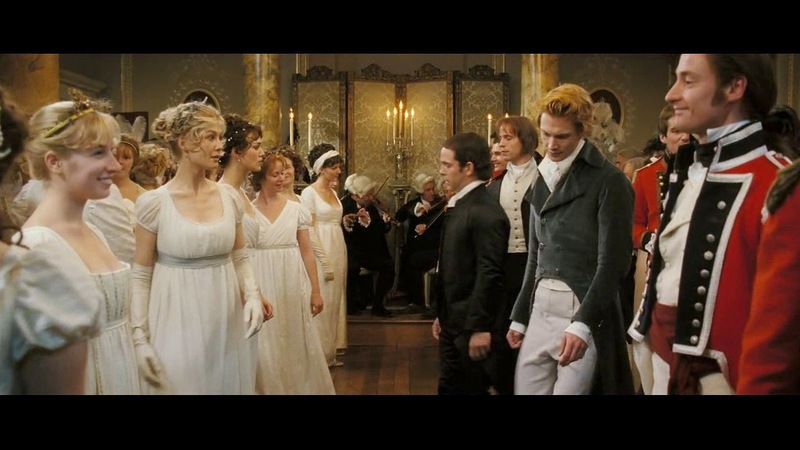 In Defense of Pride & Prejudice (2005): A different perspective on the movie's costuming. 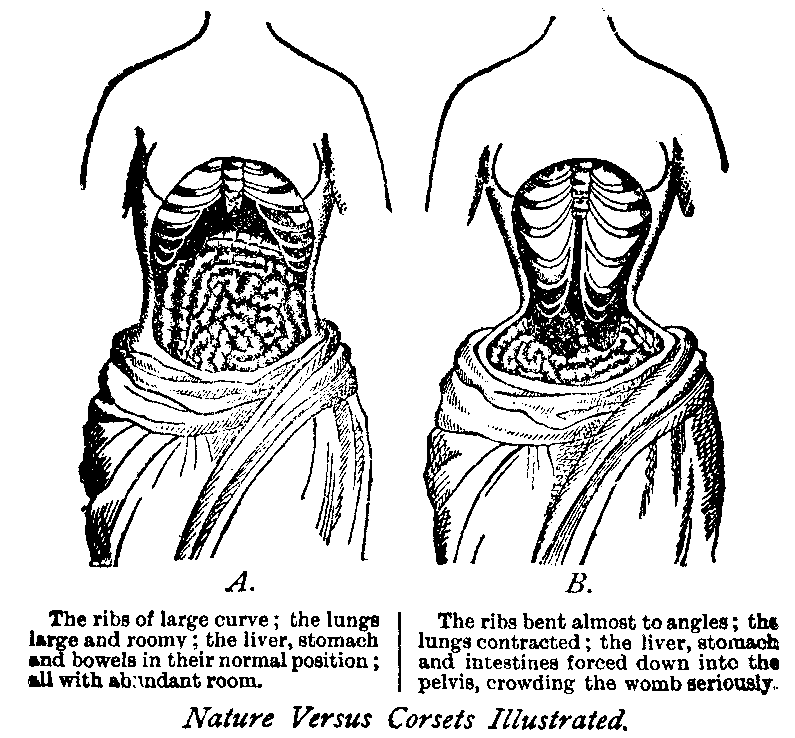 A Difficult History: Feminism and Corsetry, Part I: Technically, all of September was taken up with this multi-part series. 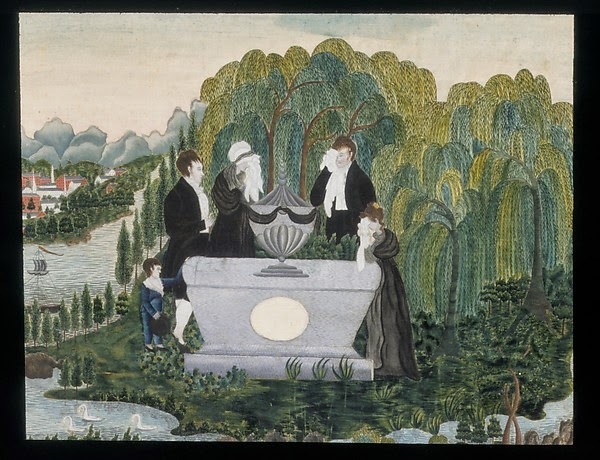 On Mourning: Discussion of American, English, and French mourning practices of the 18th, 19th, and early 20th centuries. Jennie Goodman's Wedding Dress (1878): A purple taffeta Natural Form era dress, also with pattern. Waistcoats: 19th and 20th Century: The evolution of vests, with hints for dating them. Thank you! Nice to make your acquaintance.